i’m suffering a little on the early game,what can i do? ghastly conjurer works? thinking on exchange one acolyte and add doomsayer too. opinions? I don’t have stargazer luna, what can i use to replace her? 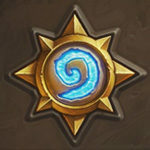 I would suggest you to use Blizzard or Flamestrike both have excellent synergy with Arcane Artificer or a simple Doomsayer, the best removal combo Frost Nova + Doomsayer.